Yes, doll, you are correct. But ... I confess I am going for the look from the movie, simply because I look better in all black. I'm going to Comic Con in NYC next Month as Lara Croft. 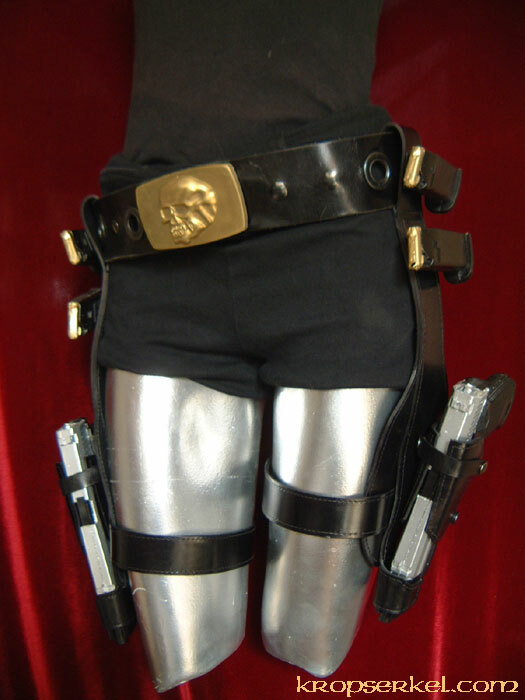 Really want to get the http://kropserkel.com/laracroft.htm holster, gun, clips but they don't have a shopping cart on their site. Will see. Thank you for posting this.